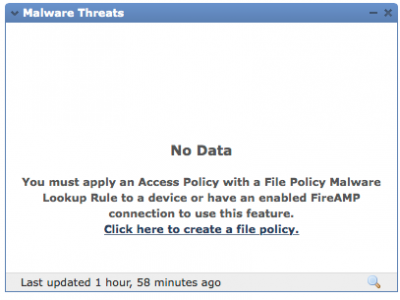 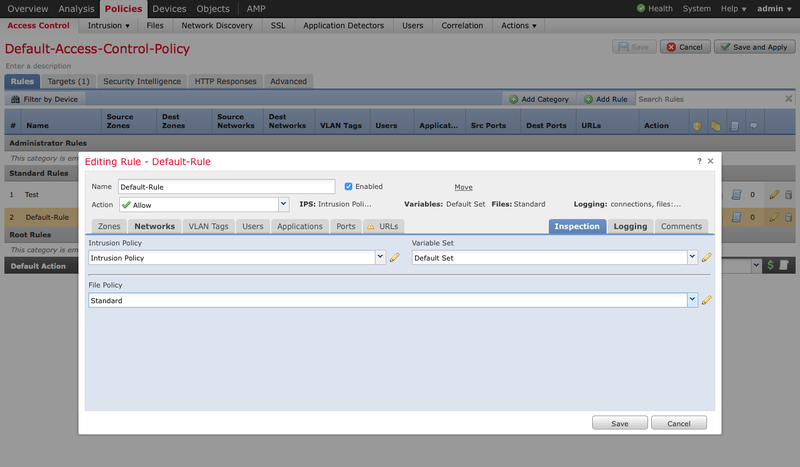 Policies > Access Control > Edit your access control policy > Then Edit the file policy. Add in “Block Malware with Reset”. 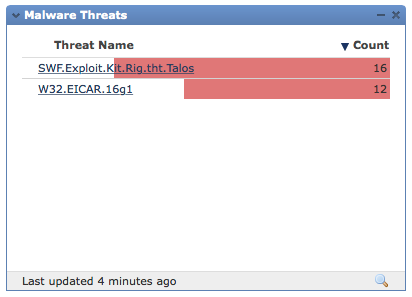 Then after a short time, you should start to see the malware threats window start to show some data.